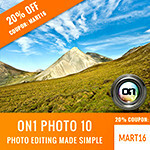 RMARTINSEN coupon code saves 20% off Nik Software from 11/23/11 at 9:00 am PST to 11/28/11 12:00 am PST. You may also enjoy my What Plug-ins Should I Buy? article to see where the Nik Suite stack ranks against the myriad of photo editing products. 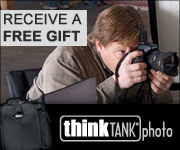 If you’ve followed my blog and Nik Software sales in the past, you know that this is usually a once a year deal. If you’ve been holding out, now is the time to get the biggest savings of the year. The RMARTINSEN code is normally good for discounts on both upgrades as well as full product. Unfortunately you can't get the 15% discount either for an upgrade while the Black Friday special is on. Thanks for bringing this to my attention. Please try again as the issue has been resolved. Thank you for the tip! I’ve read all of your Nik reviews and tried Dfine the other day which I absolutely love! But frankly I’m really angry about how Nik Software treats its international customers. I’m from Germany and here the Black Friday price for the Complete Collection for Aperture is €249, which translates to $268 (minus the tax). In the US however, the same bundle costs only $199 (without tax). That’s a price increase of 33%! It’s even available with German language, too, so it’s the same frakkin’ download! I was really reconsidering buying anything from Nik at all after seeing this discrepancy in price. Luckily I was able to buy the bundle on the US website and pay with my German credit card. I have a US address from MyUS.com, otherwise it probably wouldn’t have worked. Nice benefit: I didn’t have to pay any taxes at all, seems to have to do with my Florida mail forwarding address. So shame on Nik for treating international customers as second class customers (I wonder if this applies to their customer support, too). And to all other Europeans: don’t let them get away with this and buy from the US store, too! There’s really no justification for the price differences. Thanks for fixing the link. It worked fine!